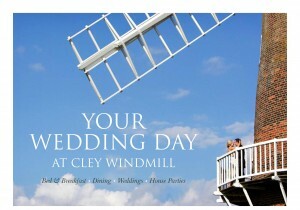 Cley Windmill – come and have an old-fashioned country-house party. 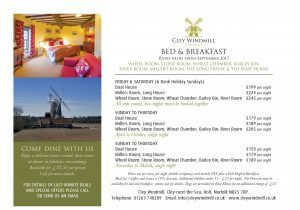 We had eighty-six requests to book our windmill weekend between Christmas and new Year, and we are sorry that only one party was able to take advantage of that opportunity. 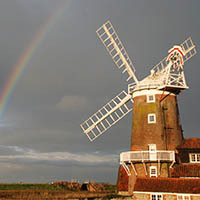 I write to say that Cley Windmill is very much still here over the winter months. There are some significant advantages to visiting us in the quieter months ahead (not least 10% off between now and February). 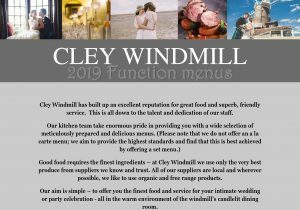 This is possibly an ideal time to plan your own house party, taking over the whole windmill and having the whole building to yourself and up to 19 friends, just as we have done on many memorable and happy occasions – its a great way to get together with close friends or family, in the style of an old fashioned country-house party. 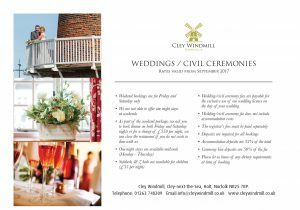 Simon & Sarah would be happy to find a slot in our winter callender when we can accommodate your own house party. You can always pass this email on to a friend so that they can play host, and you can attend as their guest! 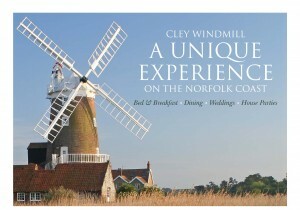 (Alternatively, just book a single room and enjoy our acclaimed Cley Windmill ‘welcome’ as a normal B&B guest.